Hufelandstraße in the East Berlin district Prenzlauer Berg: beautifully restored facades of the „Gründerzeit“ era, free wifi in vegan hipster juice bars. On their way to Himalaya-Yoga the natives proudly present their trendy tattoos and full beards. This street in the Bötzow neighbourhood is the epitome of the change taking place in the Eastern part of the city since reunification some 28 years ago. People working in creative industries – holding well-paid jobs – and their families live in this neighbourhood. They can afford it. They can also afford to follow the worrying trend of bestowing on their offspring names like Friedrich, Theodor or Maria-Theresia. These were common names some 150 years ago. Interestingly, that was precisely when this area was first developed. Now both have again become fashionable: kids‘ names and the Bötzow neighbourhood. It was not always like that. Just before the Wall came down, the buildings were in a miserable state. Bullet holes from WWII were a questionable decoration for the dull grey walls. The neighbourhood was infamous. A former neighbour of mine gave me some valuable information about these times. During the Communist era she did her teacher’s training in East Berlin. According to her, no one wanted to be placed in a school in this neighbourhood. She did end up there, however, and seems to have survived the ordeal without any apparent damage. But how did this bad reputation arise? Was it for the same reasons we today associate with difficult or challenging neighbourhoods? Or was it the prejudice, supported by the authorities, against the inhabitants who created their own little petit bourgeois retreats in this neighbourhood amidst the stuffy „real existing socialism“. 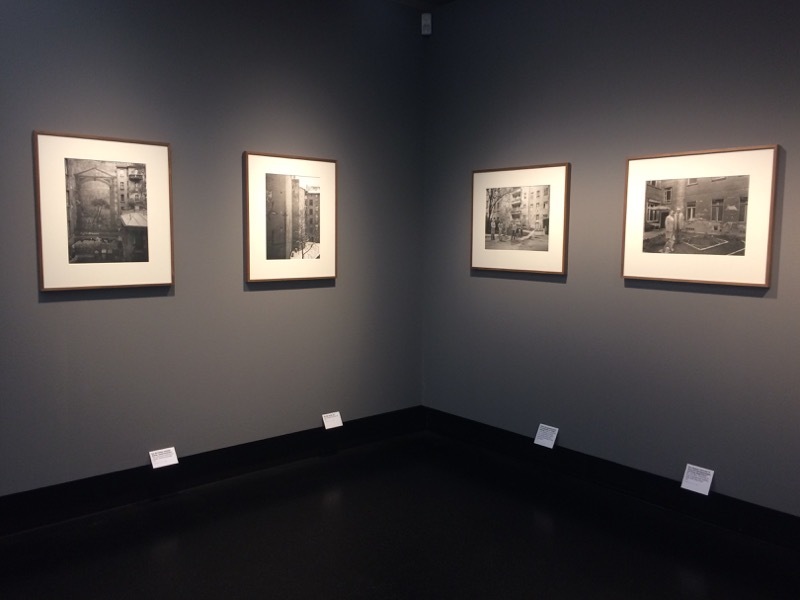 These small escapes behind the crumbling facades of the grey day-to-day Socialist routine are documented in the highly recommendable photography exhibition „Hufelandstraße – 1055 Berlin – Harf Zimmermann“ at C/O Berlin, Amerika Haus, Hardenbergstraße 22-24. As part of an academic thesis Zimmermann took photographs of his neighbours out in the street in 1987. The black and white photographs captured well the personalities of the portrayed; some of them a little odd. There were the average Joes, rebellious would-be punks, young followers of fashion and, rather unusual in the now deceased GDR, quite a number of small scale entrepreneurs. Zimmermann took photographs of the owners of fashion stores, barbers or bakers in front of their respective shops. The photographer, originally from Dresden, used colour to portray his neighbours in their apartments, their private oasis and retreat. The colour seems to enhance the individuality and contrast it against the grey of the outside. In the meantime, colour has returned to Hufelandstraße, even on the outside. And so Zimmermann’s documentation from just before the fall of the Wall illustrates how gentrification can change the face of a city. Another example of such a change is the foundation organizing the exhibit: C/O Berlin. 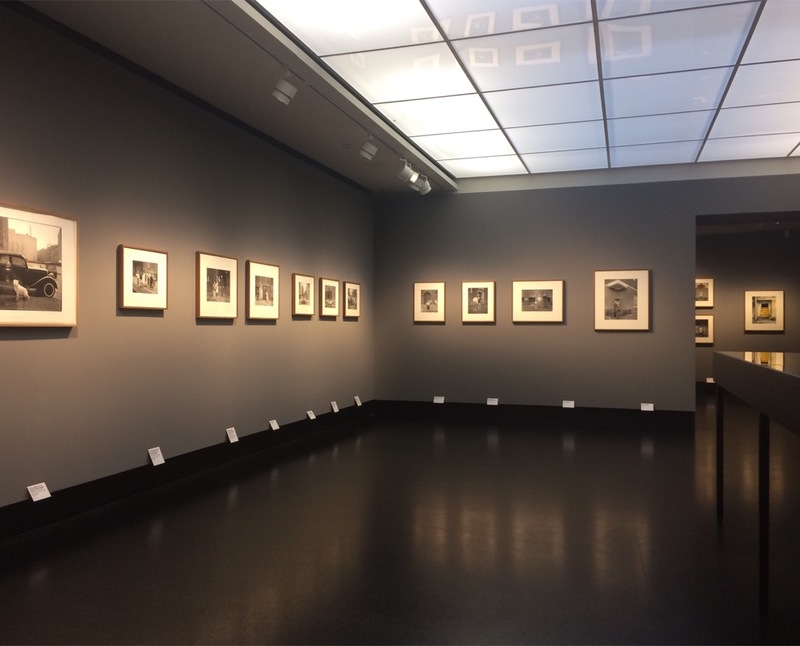 In the year 2000 a private initiative developed the idea of an institution organizing exhibitions on photography in the reunited city of Berlin. 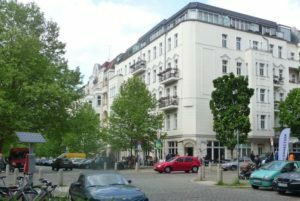 The original location in the Spandau suburb neighbourhood in the former East Berlin district Mitte had all the potential for the development of thriving arts projects. The buildings were dilapidated, there was lots of space and the rents were affordable. In some cases investors had already bought prime property, but, as they were still in a planning phase, creative initiatives could secure interim contracts. This is how C/O Berlin could develop into a Mecca for photography exhibitions in the former post-office with adjoining stables (Postfuhramt) in Oranienburger Straße. This came to an end in 2013. The new investor needed the building for himself. Biotronik, a Berlin medical engineering company wants to use the protected 19th century brick building as its representative office. C/O Berlin left East Berlin. Since 2014 the exhibitions are shown in the legendary Amerika-Haus, right next to the Zoo train station, in the heart of West Berlin. Harf Zimmermann’s works are on display there until 7 July 2017.